As many as 357 people have lost their lives in Kerala due to rains and landslides, while over 3.14 lakh people have been moved to relief camps. A top Indian-American Congressman has said he is "horrified" by the destruction and loss of life caused by the severe floods in rain-battered Kerala, saying the "unimaginable" human cost of the tragedy is felt by families across India and the world. 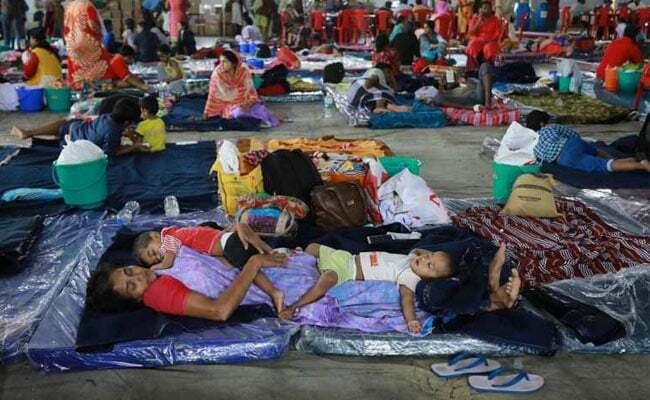 As many as 357 people have lost their lives in Kerala since August 8 due to rains and landslides, while over 3.14 lakh people have been moved to relief camps. The southern state is facing its worst flood in 100 years with 80 dams opened and all rivers in spate. A body blow has been dealt to the scenic state, with its infrastructure, standing crops and tourism facilities severely hit. "I'm horrified to see the loss of life and broader destruction caused by the continuing floods in Kerala. With more than a quarter of a million people displaced and hundreds dead, the human cost of this continuing tragedy is nearly unimaginable, and it is felt far beyond Kerala by countless families across the whole of India, here in the Chicago area, and throughout the world," Raja Krishnamoorthi, the Democratic lawmaker from Illinois, said in a statement. Mr Krishnamoorthi applauded the spirit of the people of Kerala in the face of devastation and tragedy, saying that even amid these darkest of days, they have continued to show their true colours in the courage and compassion they have demonstrated through helping one another to safety, shelter, and survival. "My thoughts and prayers are with the people of Kerala and their loved ones," he said.